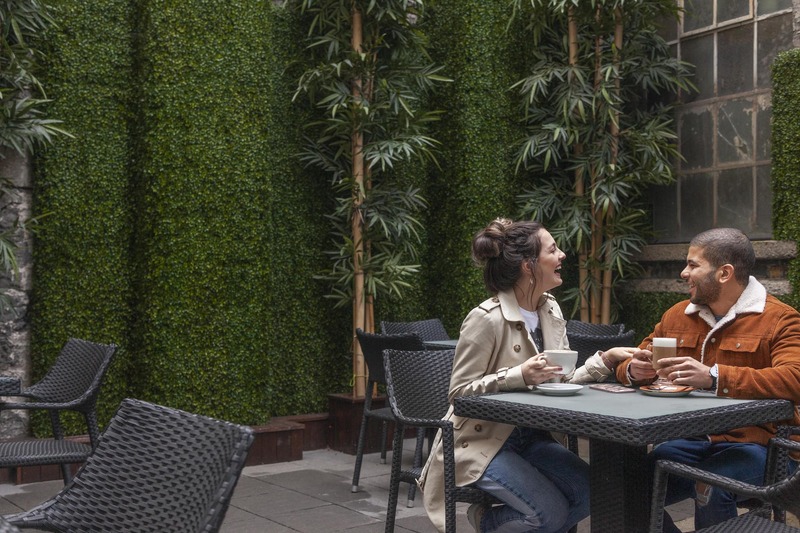 Temple Bar Inn is a 3* boutique hotel conveniently located in the famous Temple Bar quarter. We promise the most luxurious and comfortable retreat while keeping you immersed in the culture and history of Dublin City. Each of our 101 cleverly designed en-suite spaces encompasses all you could need; chic and bespoke design throughout and just steps from all of Dublin's most popular destinations and attractions. Retreat to our modern boutique rooms that perfectly blend style and comfort. Equipped with everything the modern-day traveller needs, from high speed WiFi to smart TVs and premium toiletries, we have you covered. Start the day off right by choosing from our impressive daily breakfast buffet. Using only the freshest and locally sourced ingredients, there is something for every taste. Unwind after a day of exploring in our contemporary lobby. Your home away from home has everything for complete comfort. Stop off at our coffee station, enjoy the terrace or start planning your next activity with our 24 hour tour desk.